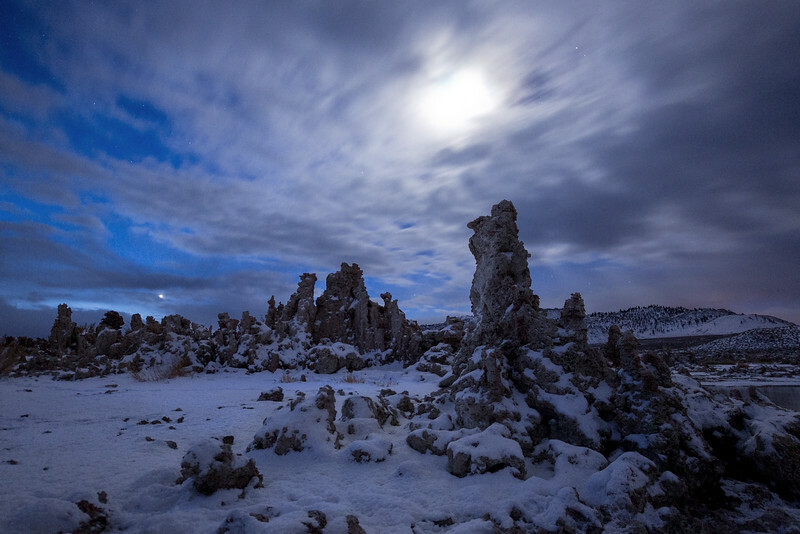 This shot was taken about an hour before sunrise out at the South Tufa area of Mono Lake after a heavy snow. Clouds were rolling in and the 3rd quarter moon had risen a few hours earlier. In the distance is Venus rising. The long exposure (10 seconds), allowed me to capture the clouds rushing past the moon adding a nice dynamic element to the composition.